CNN’s “The Wonder List” explores stories of incredible places, people, and species. In their latest episode, journalist Bill Weir investigates New Zealand’s ambitious Predator Free 2050 initiative. New Zealand was once a bird’s paradise where no native mammalian predators were ever found. Now, invasive predators including rats, possums, and stoats threaten the native wildlife that still remains. New Zealand’s Department of Conservation plans to address the issue and remove the invasive species that have altered their native ecosystems and continue to devastate native species. CNN’s “The Wonder List” explored the need for the program as well as the potential downfalls that have some citizens concerned. The project has been likened to the Apollo Project for its ambitious goal and the scope required to fulfill the plan. Conservationists hope that with the Predator Free 2050 goal, New Zealand can save some of its most threatened wildlife, including its national bird, the beloved Kiwi. Bill Weir features native birds and the conservationists working to save them as he investigates the need for conservation and the threats invasive species pose to native animals. In 2015, Weir featured restoration efforts currently underway on Floreana Island. 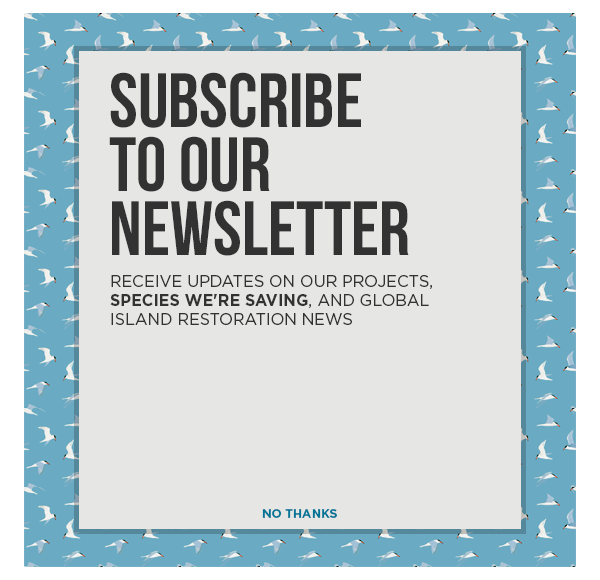 Island Conservation and partners are working to remove invasive predators, revive native wildlife, and reinvigorate economic opportunities and sustainability on the island. Both projects require exploration into new techniques for restoration.